First, go to the Menu button and activate the Watch Folders option by ticking ON in the dropdown menu. 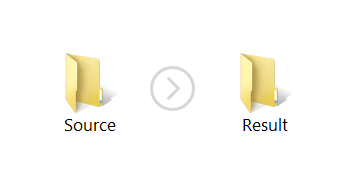 Next, open Windows Explorer and create an input folder and an output folder. In the first one you will store the DWG files that need to be converted, and in the second one — the resulting PDFs. 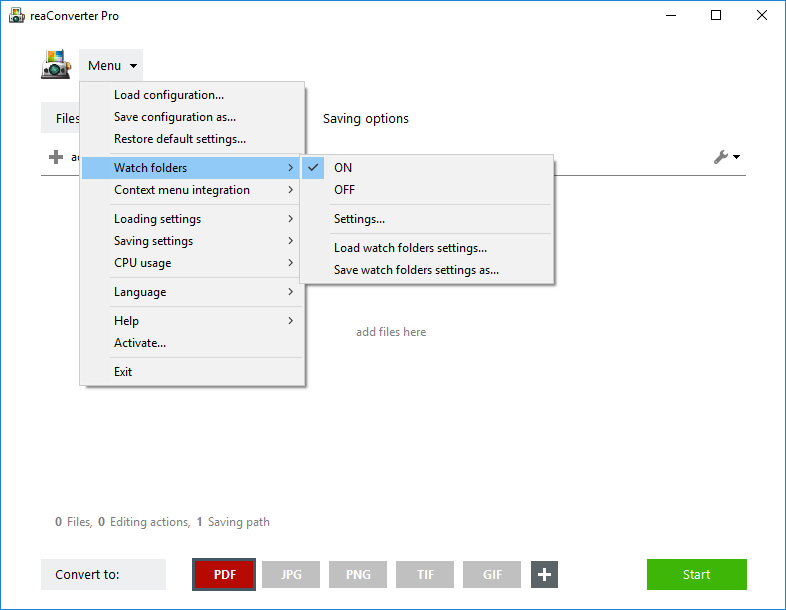 After you go through all the steps listed below, the input folder will become a “watch folder”, which means all files stored in it will automatically undergo conversion. Set your desired conversion configuration in reaConverter — i.e. 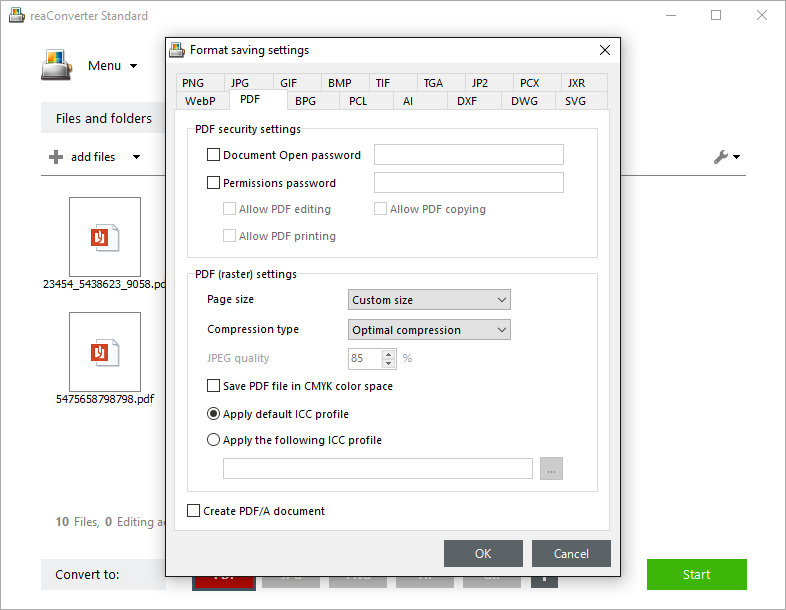 click the PDF button in the lower part of the window and put the output folder you created as location for the converted files in Saving options tab. Then save your .cfg (configuration) file. 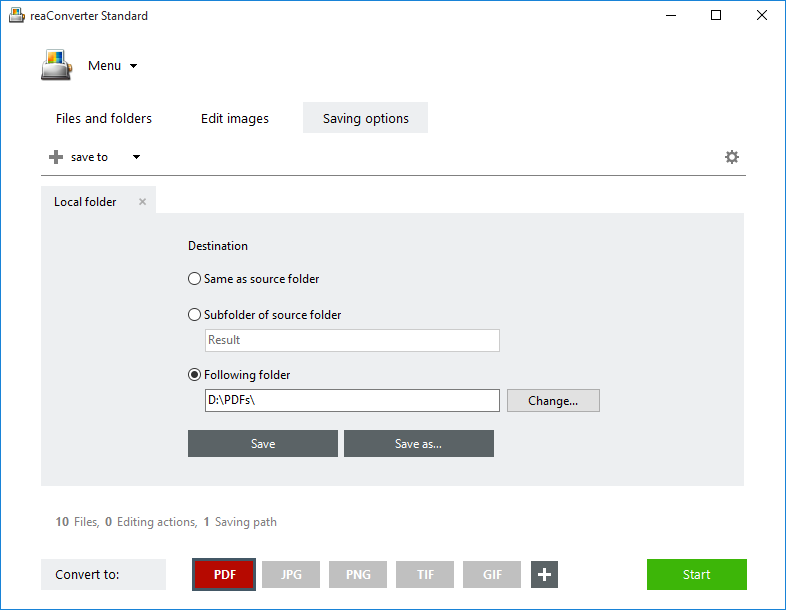 In addition to the actual conversion, you can add here a series of security options related to the output PDF file. 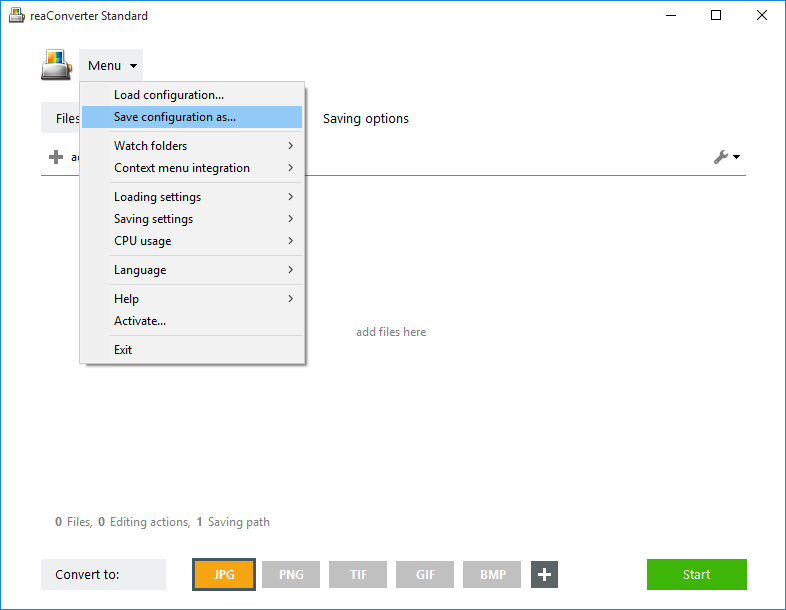 To do so, go to Menu → Saving Setting → Format Saving Settings → PDF (or click on the upper left icon from the PDF button) and choose a password for opening the document, or grant permissions connected to editing, printing or copying the PDF. Then load the .cfg file and assign the input folder. 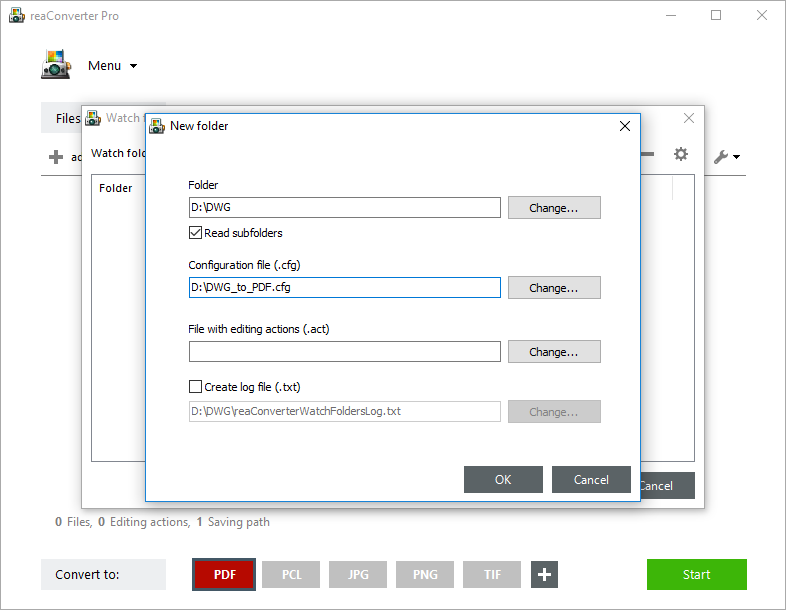 Now all the DWG files you drop to input folder will automatically be converted to PDF and placed in the output folder! Advanced users can convert DWG to PDF with command line interface or DLL in manual, automated or scheduled mode. You are welcome to contact our technical support when you have any questions about reaConverter.